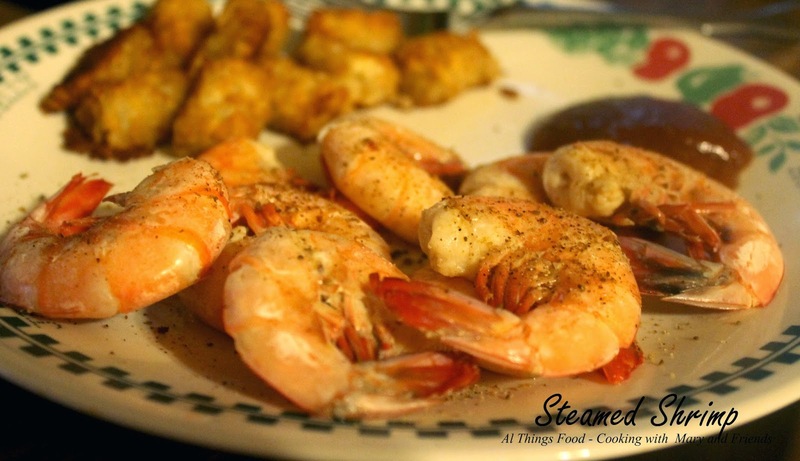 Steamed Shrimp is probably one of the easiest things you'll ever cook. When buying fresh shrimp look for sustainable wild-caught shrimp, which is my preference. 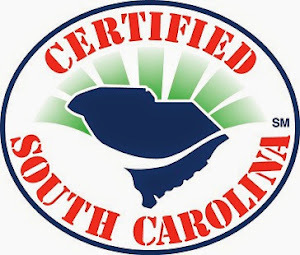 I like to buy large or extra large shrimp, and purchase South Carolina Beaufort Shrimp from Off the Hook Seafood Market when I can get them. 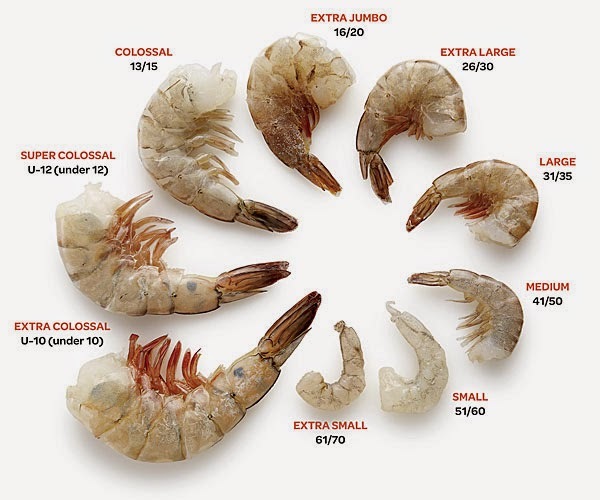 I like large or extra large because that size suits me best for steaming, sauteing, and grilling, but as you can see by the chart, shrimp come in all sizes, from Extra Small to Extra Colossal! Bring water, vinegar, salt, and Old Bay to a boil. 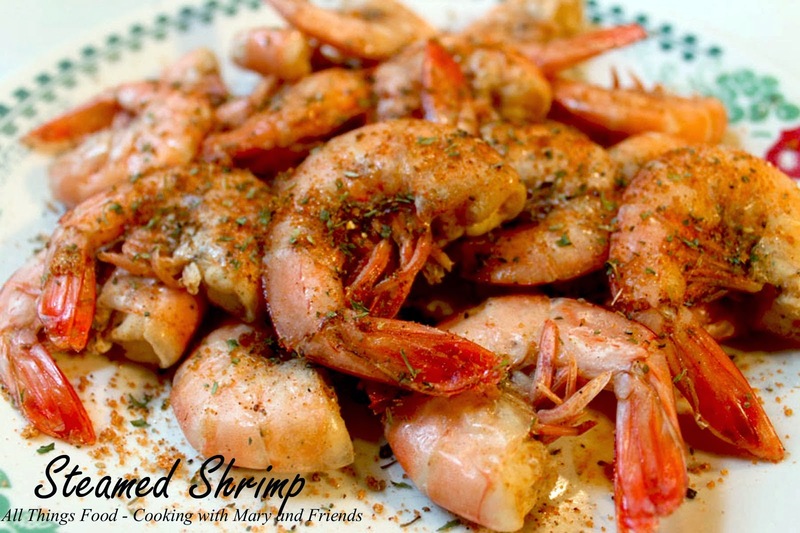 Add shrimp, stir gently, cover and cook 3-5 minutes, or until shrimp are pink and cooked through. 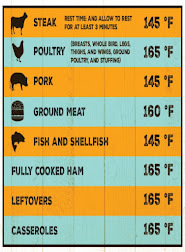 Remove from heat, drain and serve immediately. 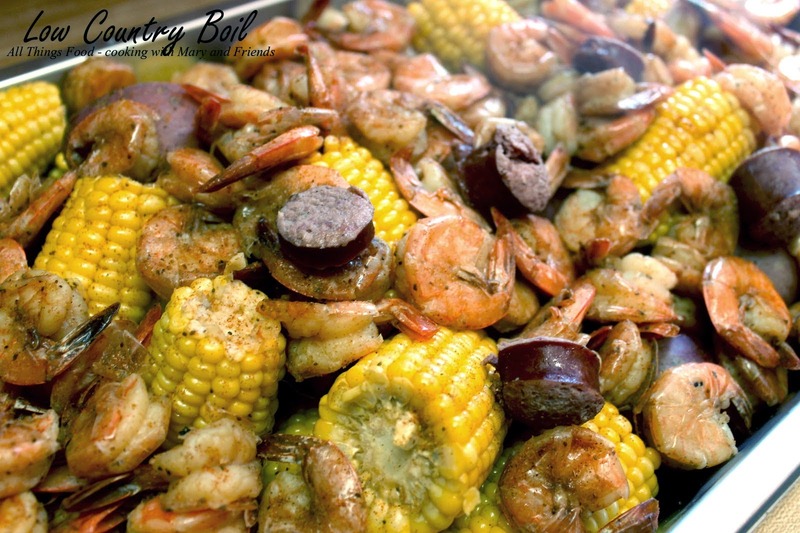 *Note - add corn-on-the-cob, red potatoes, and sliced Andouille sausage (or smoked sausage) and you have a "Low Country Boil" aka "Beaufort Stew" or "Frogmore Stew!"